'Crazy Rich Asians' Cast Hit Chicago, Toronto & Boston for Press Tour! 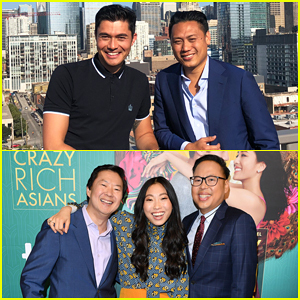 From rooftops on Toronto skyscrapers to Chicago helicopter rides to Boston yachts, the cast of Crazy Rich Asians are making their rounds as part of their press tour! Leading man Henry Golding and director Jon M. Chu hosted a special screening of film at the Chicago Google Office, while co-stars Awkwafina, Ken Jeong and Nico Santos hit the red carpet at a special screening in Toronto. Gemma Chan, Jimmy O. Yang and Kevin Kwan, who wrote the book “Crazy Rich Asians,” touched down in Boston to make their promo rounds. The upcoming film is the first Hollywood studio-backed film directed by an Asian-American director and all-Asian cast in 25 years – Watch the trailer here! America Ferrera Talks Being The First Leading Latina Actress To Win An Emmy! America Ferrera flashes a big smile while attending the For Your Consideration panel for her hit show Superstore held at the UCB Sunset Theater on Tuesday (June 7) in Los Angeles. 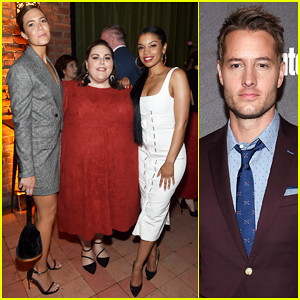 The 32-year-old actress was joined at the event by her co-stars Ben Feldman, Colton Dunn, Nichole Bloom, Nico Santos and Lauren Ash. America recently opened up about being the first Latina lead actress to win an Emmy for Ugly Betty. FYI: America is wearing the Everlane Twill Crop Pant. America Ferrera Explains Where Golden Globes Bit with Eva Longoria Came From! America Ferrera strikes a pose as she attends the 2016 Winter TCA Tour to promote her new NBC show Superstore on Wednesday (January 13) in Pasadena, Calif. 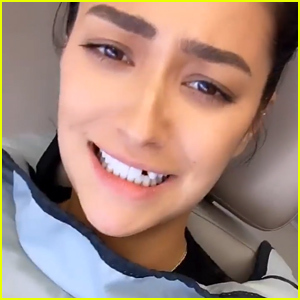 The 31-year-old actress was joined by her co-stars Ben Feldman, Colton Dunn, Nichole Bloom, Lauren Ash, Nico Santos and Mark McKinney as they also took part in a panel discussion for the show at the NBCUniversal portion of the tour. At the panel, America explained how she came up with her and Eva Longoria‘s well-received Golden Globes presenting moment with Superstore writer-executive producer Justin Spitzer. “Well, actually, Justin and I were throwing ideas around. I went to Justin and said what’s going to be funny here? We went back and forth with it, and then Justin came up with the idea to play on what happened,” America expressed (via EW). “I only came up with a little piece of the idea, she’s very modest,” Justin added. Also in attendance was America’s Got Talent‘s Mel B and Howie Mandel. FYI: America is wearing a Vince dress, Sandro jacket, Saint Laurent heels, and Cos earrings.